The team-mates of Daniel Wilkinson, who died after collapsing during a match, have decided to play this weekend in tribute to the ex-Hull City trainee. Non-league Shaw Lane will "celebrate" the life of the 24-year-old defender, who died in hospital on Monday, when they play Romulus on Saturday. The South Yorkshire club will also name a stand at their ground in his honour. "It will be an emotional day and we hope we can do Daniel proud," said Shaw Lane club secretary Dave Exley. "Football is not important on Saturday. Obviously his death is still so raw. "But Daniel's family decided they wanted this game to go ahead and be a celebration of his life. "All the players want to play - it quickly became obvious that everybody had the same thoughts as his parents." Shaw Lane, who play in the Northern Premier League Division One South, will hold a minute's remembrance before kick-off. The Barnsley-based club also plan to retire the number five shirt - which was worn by Wilkinson - for the rest of the season. Hull, his hometown club, had planned to hold a minute's silence before their Premier League home game against Arsenal on Saturday. After having spoken to the player's family, they will now hold a minute's applause at the KCOM stadium. The club said: "He was a popular member of the Tigers' youth team squad that won the Youth Alliance North East Conference title in 2010." Brighouse Town, Shaw Lane's opponents on Monday, have postponed Saturday's game against Colne FC, with players and officials instead planning to attend Shaw Lane's game. Harrogate AFC, where Wilkinson spent time on loan, observed a minute's silence before their game against Stalybridge Celtic on Tuesday. The Northern Premier League has asked fans, players and officials to observe a minute's silence at fixtures this week. 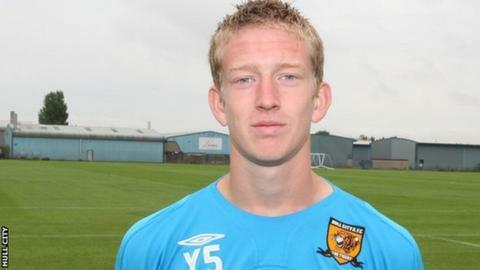 After leaving Hull, Wilkinson played for North Ferriby United, Scarborough Athletic, Harrogate Town, Goole Town and Rushall Olympic, before joining Shaw in the summer.